Reduce the signs of ageing and smooth facial lines and creases with wrinkle relaxer treatments, one of the most popular facial cosmetic procedures performed in Australia. Facial relaxant treatments are simple and safe, and help achieve a fresher, more youthful appearance. This type of treatment is extremely popular with our patients and is great for frown lines, forehead lines, crow’s feet, smoker’s lines and gummy smiles. Facial relaxants can also be used to treat tooth grinding (bruxism). In this procedure, a muscle-relaxing solution is placed via a series of small injections into specific muscles where there are undesirable wrinkles. This relaxes the skin overlying the muscles, reducing the appearance and prominence of any facial wrinkles. The treatment generally lasts 3 to 6 months. Dental practitioners have advanced training in the oral and maxillofacial areas, including the muscles of the face and skin – not just the teeth! Injecting around facial, peri-oral and oral areas is something dentists do every day. 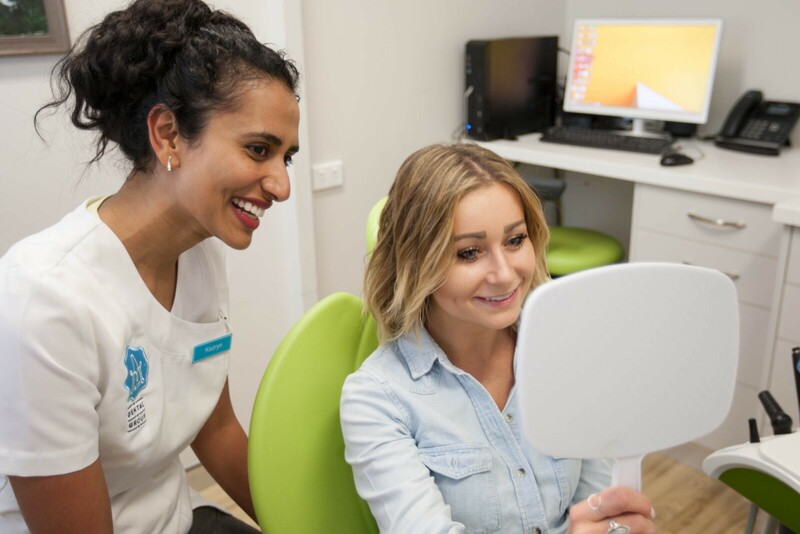 Dentists are also trained in the management of any potential complications, ensuring your facial injectables are extremely safe and with minimal chance of post-operative problems. We only use the best TGA approved products and endeavour to ensure you are satisfied with your treatment. Contact us on 1300 AIM DENTAL to find out more about facial relaxants and to book a consultation with us.